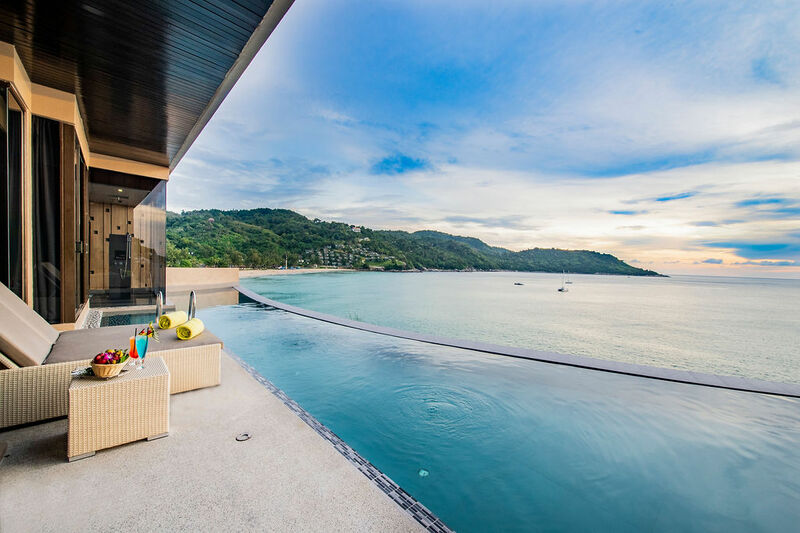 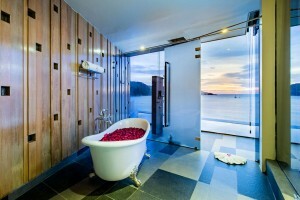 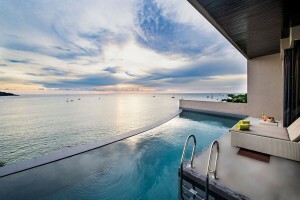 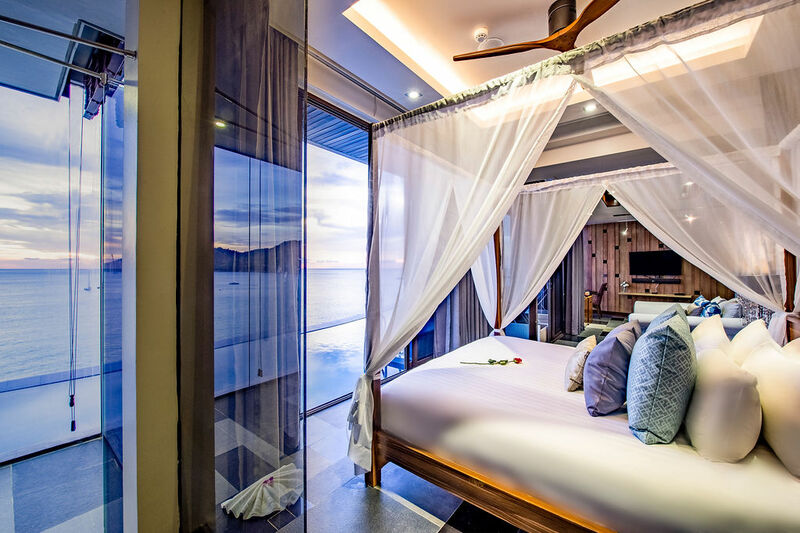 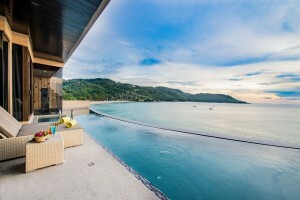 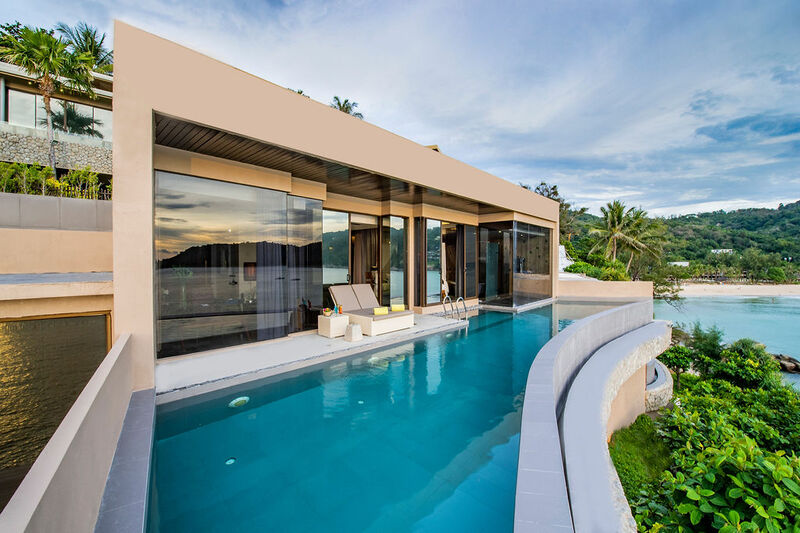 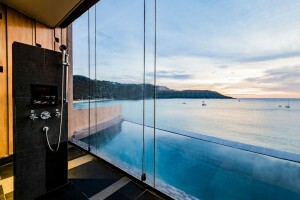 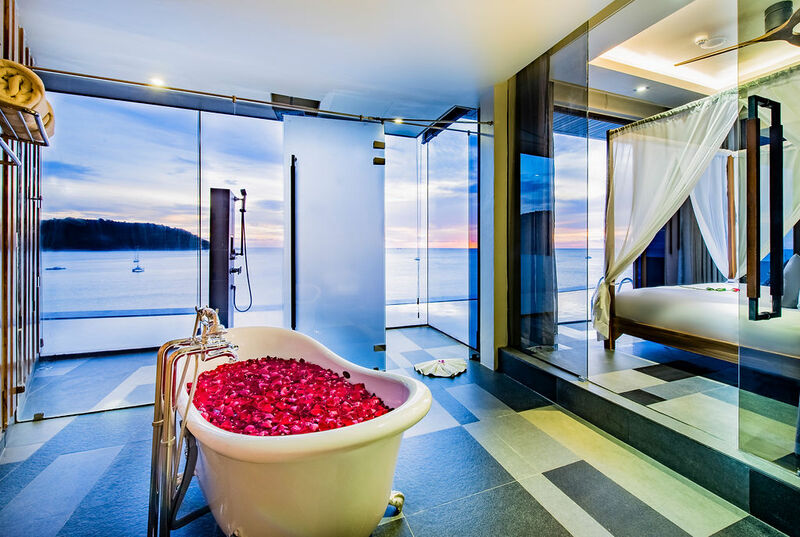 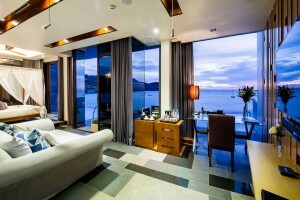 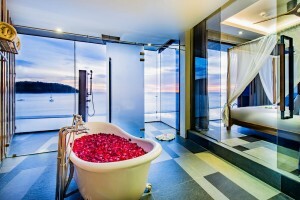 Romantic villa Kata Noi for honeymooners and couples with un-interrupted panoramic sea-views and private pool. 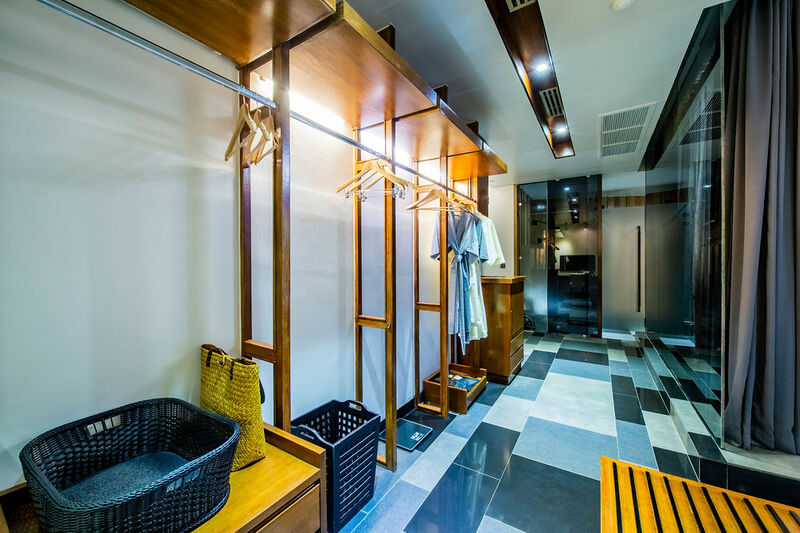 Conveniently located on the 2nd floor and features a spacious bedroom, four-poster bed and lounge area and separate shower room and bathtub in the same area. 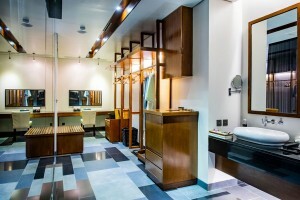 with special facilities to celebrate the occasion. 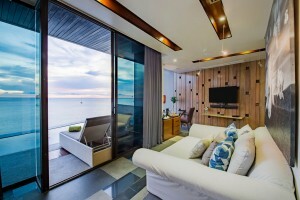 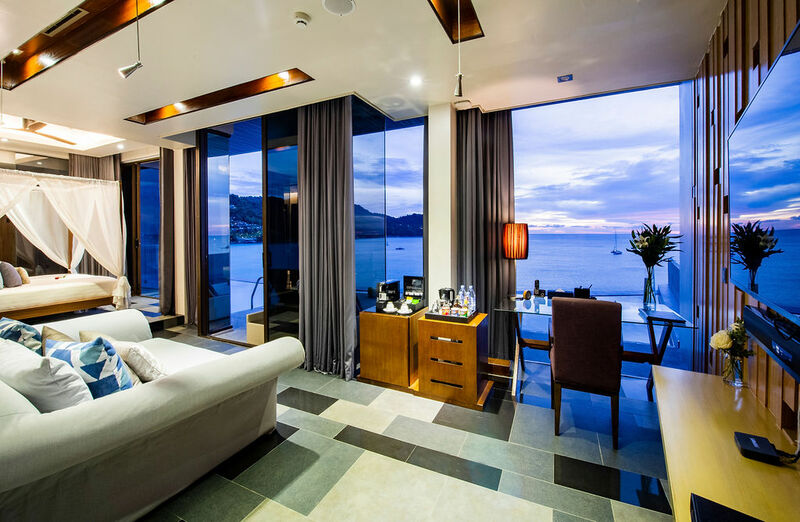 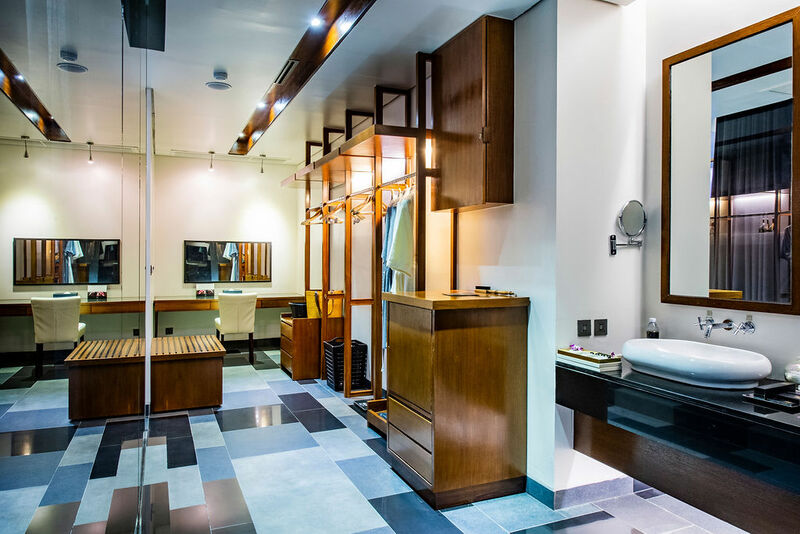 Attentive but intuitive butler service ensures that you have everything you need, with all the privacy that you want. 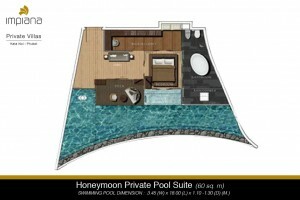 Treat yourselves to a customised spa treatment on your private pool deck. Anytime and the memorising sounds of lapping waves below serenade your journey to total well-being. Whether you like the refreshing outdoors or the comfort of the air-conditioned indoors, the picture-perfect view is yours in all its glory.